Usually, scholarships are intended for, and given to, students who have little or no financial resources to pursue their studies. Unique, however, are the full scholarships (P200,000 per year covering tuition, books and monthly stipends) granted by the Foundation for Liberty and Prosperity (FLP) and funded by the Tan Yan Kee Foundation (TYKF). They are given on the basis of pure merit; paucity of funds will be considered only in case of equality in excellence. They are granted to outstanding law students who agree to espouse, promote and fulfill in their professional life as future lawyers the philosophy of liberty and prosperity under the rule of law. Most lawyers are trained to master and defend political freedoms, like the rights to due process, equal protection, free speech, free assembly to redress grievances, be presumed innocent, etc. This training is, of course, not objectionable per se. However, the FLP believes that equal attention should be accorded (1) the economic and social freedoms, like the right to be free of hunger and want, to pursue entrepreneurship and innovation, and to conquer poverty through the rule of law; and (2) the corollary responsibility to share prosperity with the needy and to distribute equitably the fruits of labor and capital. Indeed, freedom and food, justice and jobs, ethics and economics, nay, liberty and prosperity are equally important; one is useless without the other. This philosophy upholds the singular truth that the best way to conquer poverty, to create wealth and to share prosperity is to unleash the entrepreneurial genius of people by granting them the freedom and the tools to help themselves and society. Third year students: Banoar Abratique (U of Cordilleras), Pamela Camille Barredo (FEU), Angelette Bulacan (FEU), Stephanie May Domingo (U of Cordilleras), Maria Carissa Guinto (San Beda U), Patrick Angelo Gutierrez (FEU), Mayumi Matsumura (Ateneo de Manila), Juralyn Lilian Obra (U of Cordilleras), Carmella Gaye Perez (U of San Carlos), and Edrea Jean Ramirez (UST). Fourth year: Leo Francis Abot (Ateneo de Manila), John Anthony Almerino (U of San Carlos), Arvin Paolo Cortez (Ateneo de Manila), Mikael Gabrielle Ilao (U of Cordilleras), Kenneth Glenn Manuel (UST), King Anthony Perez (U of Cebu), Jun Dexter Rojas (PUP), Ma. Vida Malaya Villarico (PUP), Micah Celine Carpio (De La Salle U) and Alimar Mohammad Malabad (San Beda U). Extra cash prizes are given those who graduate with Latin honors. Fifteen past FLP scholars took the last bar examinations: Karina Mae Badua (UST), Sean James Borja (Ateneo de Manila), Ervin Fredrick Dy (UP), Rexlyn Anne Evora (PUP), Kevin Ken Ganchero (FEU), Katrina Monica Gaw (Ateneo de Manila), Jose Noel Hilario (UST), Summerson Macasarte (St. Thomas More), Violeta Najarro (San Beda-Alabang), Ma. Janine Pedernal (UST), Nigel Carmelo Reago (De La Salle U), Tess Marie Tan (U of San Carlos), Jose Angelo Tiglao (De La Salle U), Althea Vergara (U of San Carlos) and Vanessa Gloria Vergara (Ateneo de Manila). The topnotchers among them will receive P200,000 for the first placer and P100,000 each for the second to the tenth placers. The bar results are expected on or about May 3. The TYKF board of trustees is composed of Dr. Lucio C. Tan (chair), Harry C. Tan (vice chair), Joaquin Bernas, Frank Chan, Shirley Chua, Lawrence Chew, Emil Q. Javier, Artemio V. Panganiban, Marixi R. Prieto, Carmen Tan, Tan Eng Chan, Tan Hui Bin, Mariano Tanenglian, Amando M. Tetangco Jr. and Cesar E. A. Virata. On the other hand, the FLP board of trustees consists of Panganiban (chair), De Jesus, Evelyn T. Dumdum, Rebecca G. Felix, Joel Emerson J. Gregorio, Angelina Sandoval-Gutierrez, Elenita C. Panganiban, Tanya Karina Lat and Maria Elena P. S. Yaptangco. The Foundation for Liberty and Prosperity awarded recently the winners and finalists of its 2017-2018 Dissertation Writing Contest and 21 scholars under its 2017-2018 Legal Scholarship Program at the Ateneo Professional Schools Auditorium in Rockwell Center, Makati City. (Full text of his message titled “A Culture of Respect for, and Understanding of, International Law“ can be downloaded here). The awards to the dissertation winners and finalists were presented by Retired Chief Justice Artemio V. Panganiban, Senior Justice Presbitero J. Velasco, Jr. (the chairperson of the Board of Judges), and Atty. Solomon M. Hermosura, Managing Director and General Counsel of Ayala Corporation, which donated the cash prizes. Raphael Lorenzo A. Pangalangan, a graduate student of the Oxford University and the University of the Philippines, was awarded first prize—with a plaque of recognition and P320,000 cash. Tess Marie Tan, a senior law student of the University of San Carlos in Cebu City, received a plaque of recognition and P220,000 cash for placing second. (Pangalangan’s acceptance speech titled “Liberty and Prosperity: In Doctrine, In Practice” can be accessed here). Each of the 21 scholarship recipients for the school year 2017-2018 received certificates of recognition together with P200,000 cash—divided into P100,000 maximum for tuition, P20,000 for books, and P80,000 for monthly stipends. Retired Chief Justice Artemio V. Panganiban, Acting Chief Justice Antonio T. Carpio, and Ms. Elizabeth T. Alba of the Tan Yan Kee Foundation, which donated the cash prizes, officiated the awarding of the scholars. Tiglao delivered his acceptance speech on behalf of his fellow FLP scholars. He said he was honored to be called an FLP scholar “not because of our social status, but because of our scholastic record and our extra-curricular commitments, which together, show our holistic growth as students of the law and future members of the legal profession” and their “resolve, conviction, and firmness to stand” for what they believe in. CJ Panganiban closed the program with his message titled “Hail to the New FLP Scholars and Winners.” He called on all the scholars and winners “to be models, now and later in their professional careers, of the FLP’s advocacy that we all need both justice and jobs, freedom and food, ethics and economics, peace and development, liberty and prosperity; that these twin beacons must always go together for one is useless without the other; and that the best way to conquer poverty, to create wealth and to share prosperity is to unleash the entrepreneurial genius of our people by granting them the freedom and the tools to help themselves and society.” His speech is also accessible via his personal website, http://www.cjpanganiban.com. 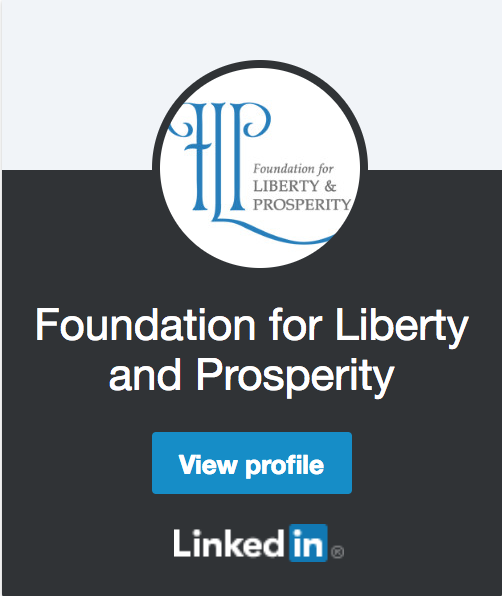 The FLP Dissertation Contest aims to augment existing literature on the Foundation’s core philosophy of liberty and prosperity under the rule of law. The contest is open to third year and fourth year law students and those taking Master of Laws. The Dissertation Contest is sponsored by FLP with a financial grant from the Ayala Corporation, and co-sponsored by the Philippine Association of Law Schools (PALS). On the other hand, the FLP Legal Scholarship Program is merit-based and aims to look for the best and the brightest third and fourth year law students in the schools that obtained a percentage of passing above the overall average percentage of passing in bar exams based on the statistical data from the Supreme Court. It is sponsored by FLP with a financial grant from theTan Yan Kee Foundation (TYKF) and co-sponsored by the Philippine Association of Law Schools (PALS). The FLP was founded in 2011 to perpetuate the core judicial philosophy of CJ Panganiban — that jurists and lawyers should safeguard liberty and nurture prosperity under the rule of law. Its Board of Trustees is composed of CJ Panganiban (chairman), Sec. de Jesus, retired Supreme Court Justice Angelina Sandoval-Gutierrez, Evelyn T. Dumdum, Asian Development Bank Consultant Joel Emerson J. Gregorio, Atty. Jennifer J. Manalili, Prof. Elenita C. Panganiban and Maria Elena P.S. Yaptangco (members). Ayala is the country’s long standing partner in the pursuit for progress and nation building, developing businesses that transform industries, challenging the status quo, and bringing innovations in the Philippines and abroad that contribute to the nation’s social and economic agenda. For details, please visit www.ayala.com.ph. Acting Chief Justice Antonio T. Carpio will be the guest of honor and speaker during the Awarding Ceremonies of 21 law scholars of the Foundation for Liberty and Prosperity (FLP) and the Tan Yan Kee Foundation (TYKF) to be held on March 23, 2018 at the Ateneo de Manila in Rockwell Center, Makati. Of the 21 scholarships, ten (10) are for 3rd year and eleven (11) are for 4th year law students as follows: (for third year) Leo Francis Abot (Ateneo de Manila), John Anthony Almerino (University of San Carlos), Arvin Paolo Cortez (Ateneo de Manila), Mikael Gabrielle Ilao (University of the Cordilleras), Kenneth Glenn Manuel (UST), King Anthony Perez (University of Cebu), Josiah David Quising (FEU), Jun Dexter Rojas (PUP), Julienne Therese Salvacion (San Beda – Manila) and Ma. Vida Malaya Villarico (PUP). For fourth year: Karina Mae Badua (UST), Sean James Borja (Ateneo de Manila), Kaycelle Ann Castillo (FEU), Ervin Fredrick Dy (UP), Rexlyn Anne Evora (PUP), Katrina Monica Gaw (Ateneo de Manila), Nigel Carmelo Reago (De La Salle University), Jose Angelo Tiglao (De La Salle University), Summerson Macasarte (St. Thomas More), Althea Vergara (University of San Carlos), and Vanessa Gloria Vergara (Ateneo de Manila). Each of the scholars will receive P200,000, divided into P100,000 maximum for tuition, P20,000 for books, and P80,000 for monthly stipends. The FLP scholars were selected based on academic merit and their ability to propagate and espouse the FLP’s philosophy of liberty and prosperity under the rule of law. 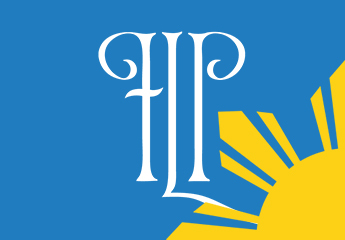 The Legal Scholarship Program is sponsored by FLP with a financial grant from the TYKF and co-sponsored by the Philippine Association of Law Schools (PALS). Acting Chief Justice Carpio headed the Board of Judges which selected the scholars. The members were: former Education Secretary Edilberto C. de Jesus, TYKF Executive Elizabeth Alba, PALS President and Ateneo Law Dean Sedfrey M. Candelaria, and Atty. Joel J. Gregorio, members. The FLP Legal Scholarship Program is merit-based and aims to look for the best and the brightest law students in the country. It is open to all third and fourth year students of law schools that have obtained a percentage of passing above the overall average percentage of passing in bar exams based on the statistical data from the Office of the Bar Confidant of the Supreme Court. Its Board of Trustees is composed of CJ Panganiban (chairman), Sec. de Jesus, retired Supreme Court Justice Angelina Sandoval-Gutierrez, Evelyn T. Dumdum, Asian Development Bank Consultant Joel Emerson J. Gregorio, Atty. Jennifer J. Manalili, Prof. Elenita C. Panganiban and Maria Elena P.S. Yaptangco (members).